A very long time ago, I stumbled across a wonderful book entitled Getting Things Done When You Are Not in Charge by Geoffrey Bellman. While the entire book has great tips, tricks, and advice on how to lead and achieve through influence rather than position power (a challenge that all Product Managers face daily), one chart in particular has stuck with me, and it’s something I’ve actually posted on the wall everywhere that I’ve worked. Bellman presents a very clear distinction between the definitions of Leadership and Management, presented in a format much like that of the Agile Manifesto, where leaders value those attributes on the right more than those attributes on the left. Leaders value attributes on the right more than those on the left. As you can see, in this view the primary difference between being a manager and a leader is the focus on vision over plan — though nobody would claim that you can have one with out the other. Let’s break these apart, and talk about what they mean in practice. One of the key capabilities of any true leader is their skill at expanding their and others’ view of the efforts that are underway at any time. To borrow (and massacre) a quote from JFK: Managers look at a situation or proposal and ask “Why?”, whereas leaders look at a situation or proposal and ask “Why not?” This isn’t limited, however, just to projects and products — in fact, the real boundaries that a true leader will expand are those that constrain the people that they work with and who work for them. Leaders are those in charge who challenge their people to constantly do more, to constantly do better, and to constantly try new things outside their comfort zone, all with the expectation (and the tools) that by doing so, everyone benefits. Another very telling attribute that distinguishes between managers and leaders is how they approach the people with whom they work and the people that they oversee on a daily basis. Managers tend to exert direct control over their subordinates, and to push their agendas in meetings with others — they tend to micro-manage, nit-pick, and generally view those around them as pawns in a game to achieve their goals. Leaders, on the other hand, value the input of everyone around them, enjoy frank discussions and debate, and work to convince people to do things because it is in their best interest to do them, rather than force a direction upon them. Leaders imbue their teams and their companies with an attitude of openness and collaboration, while managers tend to engage in zero-sum approaches to business problems. Manager are very goal-driven — they establish an objective, determine the resources needed to achieve that objective, and move full-force until the objective is complete, then wash/rinse/repeat. Leaders, on the other hand, provide everyone with a compelling vision of a possible future that can be achieved through collaboration, coordination, and commitment by everyone involved. Now, this doesn’t mean that a leader doesn’t make plans — it’s that the plans are not goal-driven but vision-driven. They are loose and flexible, and take into account the kinds of uncertainties that surround a vision-based approach to the product and the company. This difference between goal-driven planning and vision-driven planning has ripples throughout the definition of leadership v. management. Managers love contracts. The more specific the contract, the better — contracts provide certainty about the time, scope, and resources that the manager is being asked to dedicate to the project or the product. And it gives them a reason or a justification when things don’t get done — or worse yet, something or someone to blame for the failure. Leaders, on the other hand, make commitments based on their assessment of their team’s (and their own) ability to deliver, and get things done without long discussions or negotiations. Being a leader requires that you have an astute and deep understanding of the capabilities and limits of those around you, and using that to make commitments that you can keep while not over-taxing your co-workers and subordinates. Managers tend to see things in black-and-white; they want a predictable output given a set of predictable inputs. They want to know that there will be a specific ROI for whatever it is they’re contracting their resources to deliver, so that they can specify and measure against that goal. They tend to be risk-averse and uncomfortable around uncertainty. Leaders, however, embrace uncertainty and do all that they can to drive it out, so long as they maintain their vision of the future. They are willing to take chances and risks that have a likelihood of success, whether or not that success can be objectively and quantifiably measured. Managers think, while Leaders feel their way to success. Another enormous difference between management and leadership is how they make decisions about what actions to take in a particular scenario. A manager will look to the past for relevant, comparable examples, and make their decisions based primarily on past performance. They will look to team performance, skillsets, revenue numbers, past client experiences — everything that drives their decision is seen through a rear-view mirror. Leaders, on the other hand, make their decisions by looking forward — by using that vision of a possible future, and of the possibilities for their company and co-workers, to make their decisions. They aren’t stuck wallowing in the past, fighting old fights and worried about what went wrong before; rather, they are leveraging their vision to determine what actions need to be taken right now to move forward, to reach new heights, and to achieve bigger and better things. As with contracts, Managers love data — and as such they’re subject to “analysis paralysis”, whereby they refuse to (or are unable to) make decisions without more and more research and data, which is commonly contradictory in results and outcomes and only serves to muddy the waters further. A leader, on the other hand, looks for data to confirm their vision, but makes their decisions with a bias toward action rather than a bias toward research. They are confident in their vision of the future, and are able to communicate and convince people to follow that vision, so they are also capable of deciding to take action that moves that vision forward. Contracts, data, and performance assessments – do those sound familiar? Of course they do – they’re the tools of people management that are used throughout every industry, and dreaded not only by the people who are subjected to them, but generally by the people who are administering them as well. 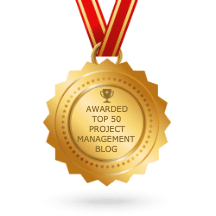 They are, however, a clear indicator of the ways in which Managers make their decisions about the success or failure of a given project — was it completed on-time, within scope, and without additional resources? If so, then it was a success — regardless of the actual impact that the project had (or didn’t). In contrast, a leader might look at the same project — on-time, in-budget, within-scope — and conclude that it was a failure, because while it looks good on paper, it failed to move the company or the product forward toward the envisioned future. Similarly, a project that takes too long, costs more than estimated, or whose scope expands might be a success to a Leader, as they aren’t looking to the objective background noise, but rather to the outcome that was achieved — whether or not the company and the product is closer to that envisioned future than it was when the project started. So, Which Are You? And Which Should You Be? Obviously, the discussion above leans toward the opinion that one should be a leader rather than a manager — however, the truth is that not everyone has developed the skills that will allow them to turn on a dime in that regard, and not every organization actually rewards those who exhibit the traits of leadership described above. If there’s anything that you should take from this discussion, it’s that leaders view the world through a different lens than managers, and that lens — the vision of the possible future — impacts everything that they do. Add a little vision to your world, make a little shift here or there that mitigates the less attractive parts of management, and you’ll see things through new eyes…and start the path toward being a true leader.